The quantum computers of the future will be able to perform computations that cannot be done on today's computers. These may likely include the ability to crack the encryption that is currently used for secure electronic transactions, as well as the means to efficiently solve unwieldy problems in which the number of possible solutions increases exponentially. Research in the quantum optics lab of Prof. Barak Dayan in the Weizmann Institute of Science may be bringing the development of such computers one step closer by providing the "quantum gates" that are required for communication within and between such quantum computers. In contrast with today's electronic bits that can only exist in one of two states—zero or one—quantum bits known as qubits can also be in states that correspond to both zero and one at the same time. This is called quantum superposition, and it gives qubits an edge as a computer made of them could perform numerous computations in parallel. One promising solution is using isolated modules with small, manageable numbers of qubits, which can communicate between them when needed with optical links. The information stored in a material qubit (e.g. a single atom or ion) would then be transferred to a "flying qubit—a single particle of light called a photon. This photon can be sent through optical fibers to a distant material qubit and transfer its information without letting the environment sense the nature of that information. The challenge in creating such a system is that single photons carry extremely small amounts of energy, and the minuscule systems comprising material qubits generally do not interact strongly with such weak light. Dayan's quantum optics lab in the Weizmann Institute of Science is one of the few groups worldwide that are focused entirely on attacking this scientific challenge. Their experimental setup has single atoms coupled to unique micron-scale silica resonators on chips; and photons are sent directly to these through special optical fibers. In previous experiments Dayan and his group had demonstrated the ability of their system to function as a single-photon activated switch, and also a way to "pluck" a single photon from a flash of light. In the present study, reported in Nature Physics, Dayan and his team succeeded—for the first time—to create a logic gate in which a photon and an atom automatically exchange the information they carry. "The photon carries one qubit, and the atom is a second qubit," says Dayan. "Each time the photon and the atom meet they exchange the qubits between them automatically and simultaneously, and the photon then continues on its way with the new bit of information. 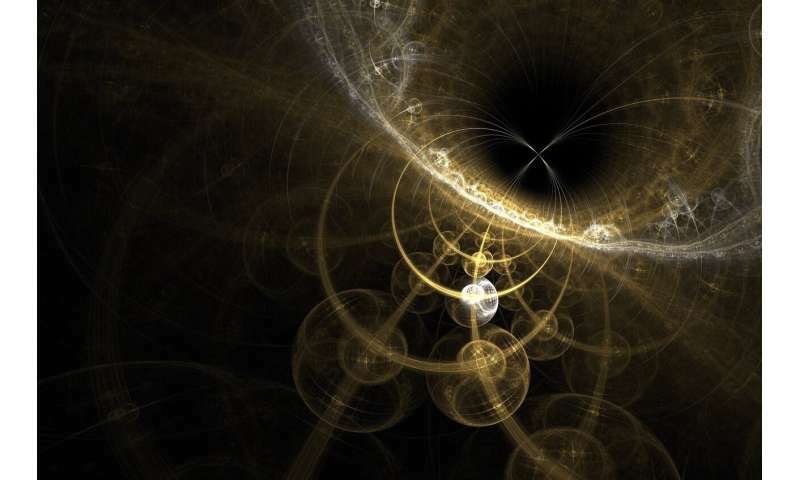 In quantum mechanics, in which information cannot be copied or erased, this swapping of information is in fact the basic unit of reading and writing—the "native" gate of quantum communication." This type of logic gate—a SWAP gate—can be used to exchange qubits both within and between quantum computers. As this gate needs no external control fields or management system, it can enable the construction of the quantum equivalent of very large-scale integration (VLSI) networks. "The SWAP gate we demonstrated is applicable to photonic communication between all types of matter-based qubits—not only atoms," says Dayan. "We therefore believe that it will become an essential building-block in the next generation of quantum computing systems."